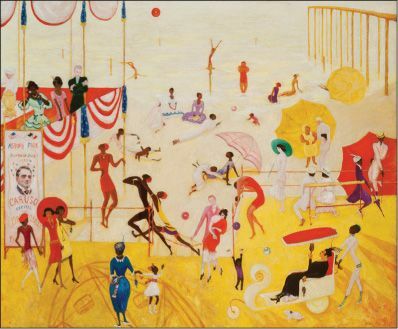 “This is a good time to take Florine Stettheimer seriously,” said Peter Schjeldahl in The New Yorker. The New York–based artist (1871–1944) has for decades “seemed an eccentric outlier to American modernism.” When Andy Warhol named her his favorite artist, he was probably half joking. But what happens if we stop thinking of Stettheimer as a dilettante who painted folksy group portraits of her famous friends? What happens if we stop pigeonholing her as a sidekick to luminaries like Marcel Duchamp and Carl Van Vechten? In the current retrospective at the Jewish Museum in New York, she emerges as a central player in a “world-changing” avant-garde.